OLAS staged a 19-act show on Saturday night that incorporated campus performers as well as talent from Chicago at large. On Saturday evening, OLAS (Organization of Latin American Students) presented to the UChicago community its second annual cultural show, Tradiciones, in Mandel Hall. What set the show apart from other cultural events on campus was its incorporation of a number of Latin-American dance groups from the Chicago community. Mixed in with the organization’s renditions of a variety of different dance styles, including but not limited to salsa, bachata, and cumbia, were performances by rapper Righteous Ones; Brazilian carnival group Samba I; and most strikingly, Los Cinco Magnificos de la Quebradita, a highly acrobatic dance group. At a university with so many cultural groups staging annual shows, coordinating performances with distinctly different characters is a difficult task. However, by bringing in outside groups pertaining to its Latin American culture, OLAS did just that. The audience witnessed a diverse show that did an excellent job of incorporating the myriad Hispanic-American traditions present in the Chicago area. The show astutely highlighted the diversity of both Latin America and OLAS. To begin, each of the board members came on stage with placards showing their nationalities. 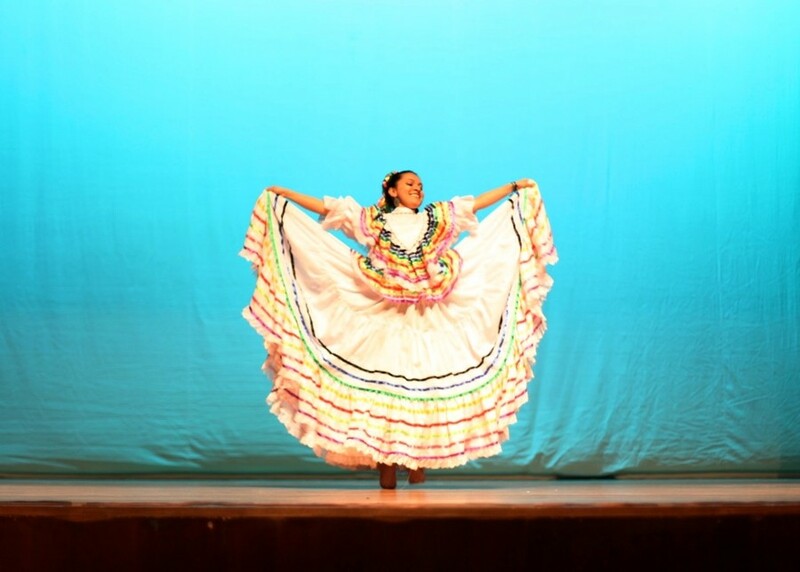 Furthermore, apart from the more widely recognized Latin American dances, the organization also included a few performances that pertained to specific regions or historical periods. For instance, “Danza de Concheros,” performed by Co-Chair Christian Sanchez and member Edgar Alarcon Tinajero, is a pre-colonial dance from central Mexico that can now be seen during Catholic and indigenous ceremonies. The organization also added some humor to their show in their video intermission, “Finca de Tradiciones,” which was a parody of the very popular telenovelas, or Latin American soap operas. In this exclusive telenovela, six OLAS members played out a typical soap story that involved love, cheating, and death. The show ran a little more than two hours (including an intermission), and it featured 19 different acts. OLAS had not produced a cultural show for some time, but members of the current board decided to bring the show back last year.